Figures from industry body the GSA (Global Mobile Suppliers Association) reveal that 208 operators in 80 countries are now investing in LTE. But while rollouts aimed at consumers are gaining momentum, a study undertaken by research house mobileSquared indicates that one third of operators have no trials or network deployments underway at the moment. Although these operators said they expected to deploy LTE at a future date, almost a quarter of those surveyed said they had yet to make any decision on LTE because of spectrum or cost issues. With none of the 38 operators surveyed by mobileSquared believing that LTE handsets would be widely available this year, it’s hardly surprising that 34 per cent of respondents thought that LTE would not become a viable consumer offering before 2013; a further 18 per cent said that 2014 was a more feasible date. According to mobileSquared, this timeframe ties in with a number of operator announcements: AT&T plans to introduce voice over LTE (VoLTE) by 2013 after an initial roll out of circuit-switched fallback (CSFB) and has begun integrating its IMS architecture. 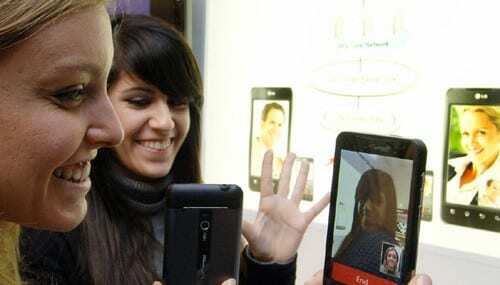 Verizon Wireless, meanwhile, plans to launch VoLTE services in 2012; MetroPCS, having partnered with HTC to roll out a VoLTE-enabled handset, is planning trials for the voice technology later this year. The report further adds that quality of service (QoS) on connecting network-based mobile VoIP calls will be so much better than over-the-top (OTT) services that a “de facto two-tier system” will be created. “A VoLTE call would be explicitly indentified in the operator domain as real time conversation and routed with low latency transit from network to network, whereas an OTT call would be treated as traditional data on the internet,” according to mobileSquared.